If you look closely at the numbers in the Obama budget proposal, you find that Treasury economists figure that U.S. multinational companies with profits overseas are exploiting the tax code even more than previously estimated–which means even more money would be raised by changing the way U.S. companies’ international profits are taxed. President Barack Obama this year is offering essentially the same changes to the international-profits section of the U.S. Tax Code as he did last year. 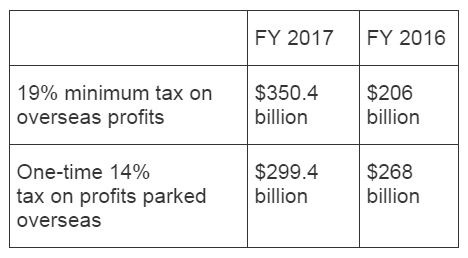 But the Treasury has upped its estimate of the revenues his proposals would yield by $180 billion–or 37%–over 10 years. How come? Foreign taxes paid by U.S. corporations through 2010 have decreased, and it was unclear whether that reflected the aftermath of the recession or a persistent trend. Newly available data for 2012–there is a long lag in getting these numbers–show that companies paid less in foreign taxes than the Treasury had projected. That led the Treasury to conclude that there is, in fact, a downward trend. That’s a big deal. The Obama plan would require companies to pay that 19% minimum rate to all governments combined, not just the U.S. The taxes that U.S.-based firms pay to foreign governments would count toward the minimum. The less they pay in taxes abroad, they more they’d have to pay to the U.S.
It’s hard to say definitively what’s behind this. It looks like U.S. companies are increasingly skillful at finding low-tax countries in which to book their profits while, for their part, foreign governments are reducing the rates at which they tax business. All that puts more pressure on Congress to do something, perhaps this year, to change the way the U.S. taxes multinational corporations. But as The Journal’s Richard Rubin reports, there are substantial political obstacles to getting that done. Editor’s note: This piece originally appeared on The Wall Street Journal’s Washington Wire.